Its new year time..!!! Wish you all a very happy and healthy new year 2012..!!! My resolution for the day is to never compromise on food.. But exercise..!! Its wonderful to spend the first day of the year with Amma Nanna with lots of special food.Special food for the day has to have OIL FOOD… Hehe..!! Anyways its okay for today.. I got this recipe from my cook at home. 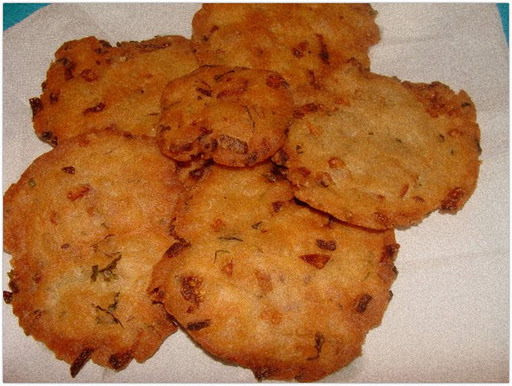 This is the famous Maddur Vada. Maddur is a this small town on the way to Mysore from Bangalore. Hope you enjoy this “Unhealthy recipe”. After all you got to have unhealthy food at times. I totally loved it.. So here’s the recipe. 1. Finely chop the onions and green chillies. 2. 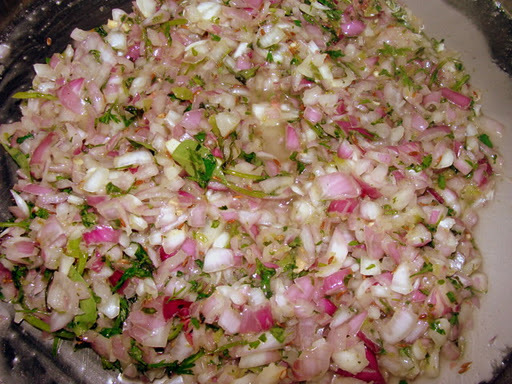 Mix the chopped onions, chillies, coriander and jeera with oil. Mix it properly. 3. 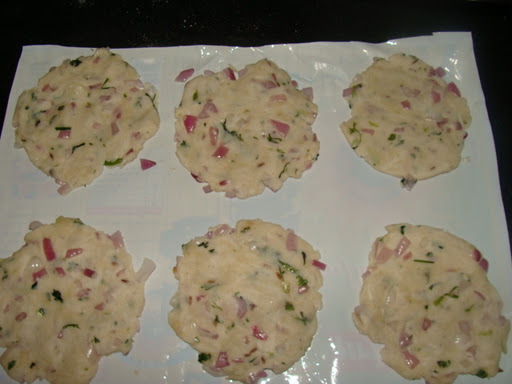 Mix rice flour,maida and salt into the above mix and make it into dough. 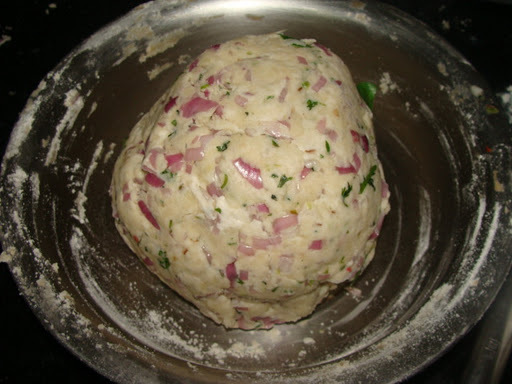 You may add required amount of water to make it into the consistency of chapathi dough. 4. Make the dough into small balls. 5. On a paper, tap the dough as puris. 6. Deep fry them in oil in a pan. 7. Take them out and place it on napkins to absorb the oil. You dont need any side dish with this. It tastes YUMMY just like that..!!! Have a great year ahead..!! !